. Therapist serves as secure base and safe haven—groundwork for pursuer to take new risks b. What are the different types of brain waves? Also, if you decide not to attend, the registration is not transferable to another future event. Value of Learning Deep Work 1. Diane Spangler, PhD Diane Spangler, PhD Dr. The goal is for participants to be familiar enough with the practicalities and nuances involved in this therapy aid that they can immediately utilize it in their practice. Diane Spangler earned her doctorate degree in Clinical Psychology at the University of Oregon where she specialized in the study of cognitive behavioral models and treatments for depression and anxiety disorders. 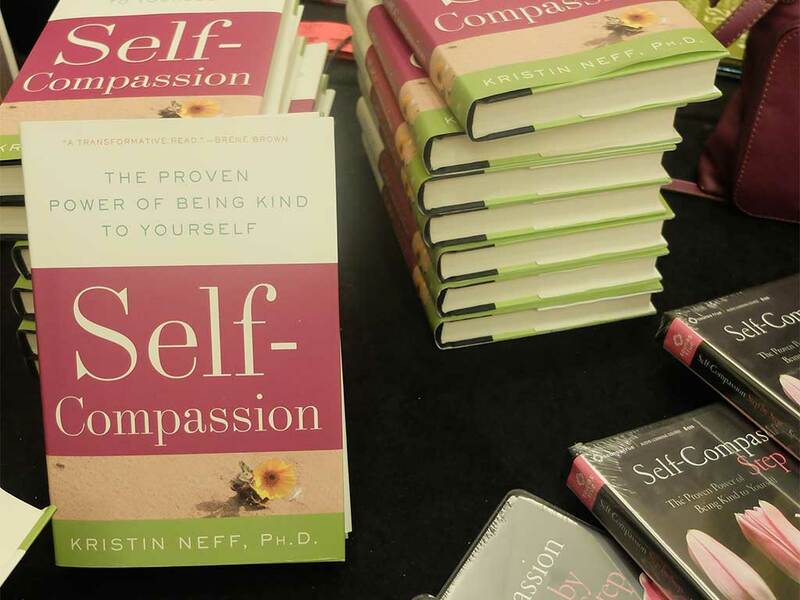 While doing her post-doctoral work she decided to conduct research on self-compassion — a central construct in Buddhist psychology and one that had not yet been examined empirically. How would one know if neurofeedback is actually working? 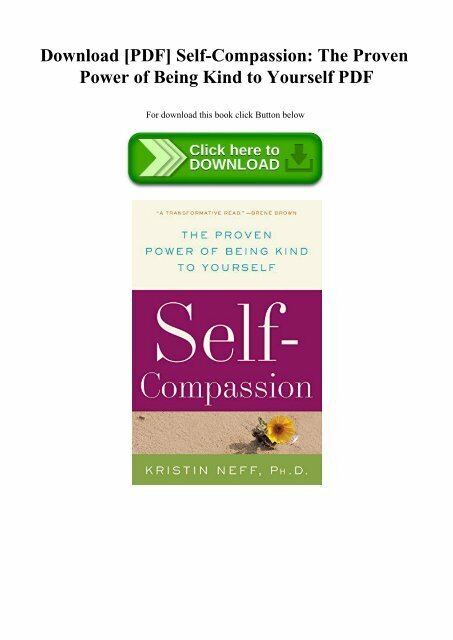 In addition to her pioneering research into self-compassion, she has developed an 8-week program to teach self-compassion skills. The bulk of this presentation will be spent demonstrating—and then practicing as participants—how to record and use smartphone video footage with clients. Kristin Neff will present on Saturday only, February 23, 2019. Learning how to embrace the hidden strength of positive emotions. Kristin Neff 9:00-10:30 Introduction Exercise: How do I treat a friend? Adults Only For consideration of other attendees, adults only, no children. Insomnia as Comorbid with Psychological Disorder Insomnia: Assessment 1. Insomnia as Symptom of Psychological Disorder 2. Mark Chamberlain Ethics violations do not typically result from a lack of knowledge about ethical principles and practices. Instead, most occur because of a lapse in the critical thinking that helps protect clients, therapists, and others. She is currently an Associate Professor at the University of Texas at Austin. Learn the positivity ratio and how to track it. Access Deeper Emotions Zoom In 3. Spangler completed postdoctoral training at the Stanford School of Medicine in the Department of Psychiatry where she worked under the direct supervision of Dr. Evidence-Based Tools for Change: An Introduction to Positivity Ratio, Deep Work, and Neurofeedback Positivity Ratio 1. Working with Resistant Clients: A Clinical Map that Facilitates Critical Change Events When Working with Couples, Families, Individuals and Groups Pursuer Softening: A Clinical Map that Facilitates the most Critical Change Event when working with couples, families, individuals, and groups. What are the potential risks with neurofeedback? Room Temperature Room Temperature varies; Please dress in layers. If the event is cancelled and we will not hold the event, only the cost of the tuition will be refunded, no hotel, travel, or any other costs. Stewart Agras in cognitive behavioral treatment of eating disorders. Mark Chamberlain, PhD Mark Chamberlain, PhD Mark Chamberlain is a psychologist and has over 25 years experience helping others change the way they do life. What is the difference between brain mapping and brain training? Cycle: Here and Now Present Process 2. Come practice applying your problem solving skills to the kinds of situations that commonly trip up therapists. Kristin Neff Kristin Neff, PhD Dr.
Assessment of Sleep Patterns Insomnia: Treatment 1. Saturday, February 23, Schedule, Dr. She then spent two years of post-doctoral study with Dr. If cancellation occurs in less than 10 days prior to the event, there is no refund. Other presenters on Friday, February 22, 2019. Therapist presence is empathic attunement and responsiveness that facilitates in-session experience Johnson, 2004 2. Participants will learn the basics of Polyvagal Theory and its contribution to our understanding of the human response to threats, particularly social threats. She received her doctorate in Marriage and Family Therapy with a special focus on clinical skills, supervision and mentoring of therapists of all levels, business leadership and business development. During her doctorate program she developed a marriage and relationship education program based on the theoretical framework of attachment and experiential learning theory. Process Enactment Zoom In 5. Neff studied communications as an undergraduate at the University of California at Los Angeles. She did her graduate work at University of California at Berkeley, studying moral development with Dr.
How is neurofeedback actually designed to work? Susan Harter at Denver University, studying issues of authenticity and self-concept development. 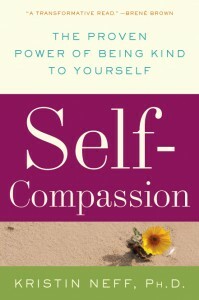 Being kind and gentle to oneself is essential. He knows from his own life that changing unwanted behaviors can be very discouraging and difficult. Learn the skills to overcome negativity and thrive. Recording and watching these videos in session and as between-session homework can help clients articulate the perspectives and interests of their various parts and then step back and see their parts as more sympathetic characters. . .